Stay connected to your Sprott community! The Sprott School of Business represents a community of over 11,500 graduates living and working in over 82 countries worldwide. Meet a few of our graduates and learn firsthand how they began their careers, the path it took to get there and reflections from their days at Sprott. 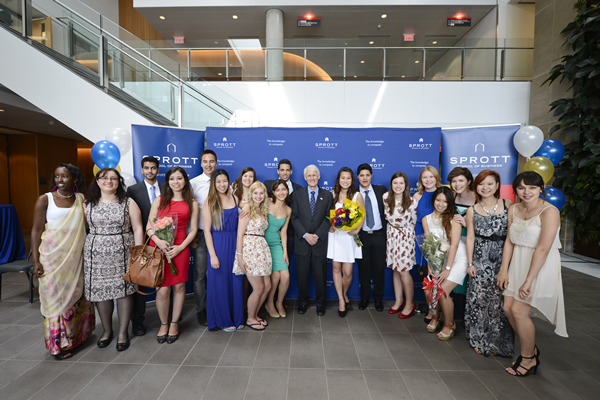 Join us at Sprott Alumni events! Be sure to connect with your Sprott Alumni Relations Officer Stephaine Lawrence to share ideas, stories and suggestions as we continue to create a meaningful alumni program that allows graduates to stay connected to each other, the Sprott School and the greater Carleton community. Don’t forget to update us with your preferred contact information so we can invite you to future alumni events and opportunities. Visit the Carleton Alumni Services website for more information on all the services Carleton offers to its alumni.